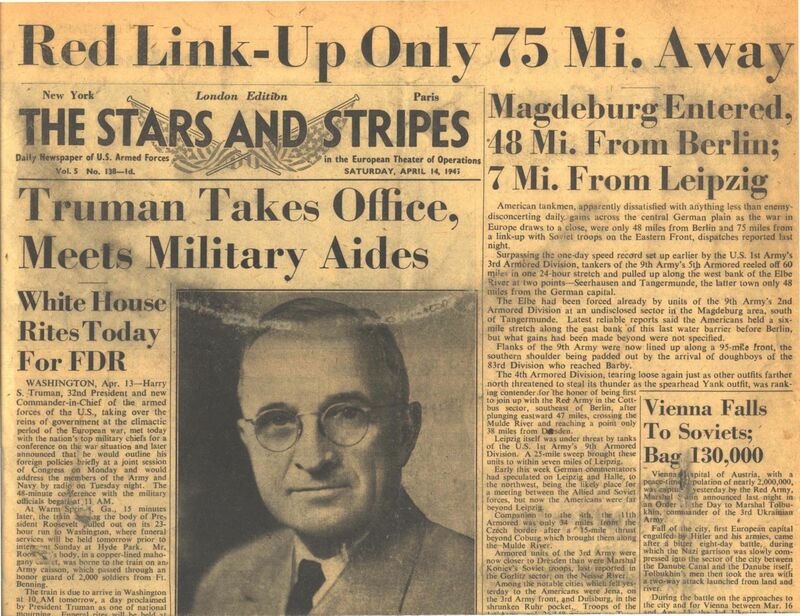 Stars and Stripes, April 14, 1945. I have only two or three copies of Stars and Stripes in my collection. I went through them the other day with my students- can you believe the date on this one? The train was liberated the day before and of course the last major battle for the 30th/743rd was to be at Magdeburg. Got an email from a survivor two days before Thanksgiving. Last year began with 4 survivors and two liberators. Today we are at over 40 survivors and at least 3 liberators from that fateful day of April 13th, 1945. I recently read your article about Carrol Walsh and the train project and I was stunned. I too am a survivor of that train. I was six years old at the time of liberation and remember the American soldiers who gave us freedom, candy and our lives. 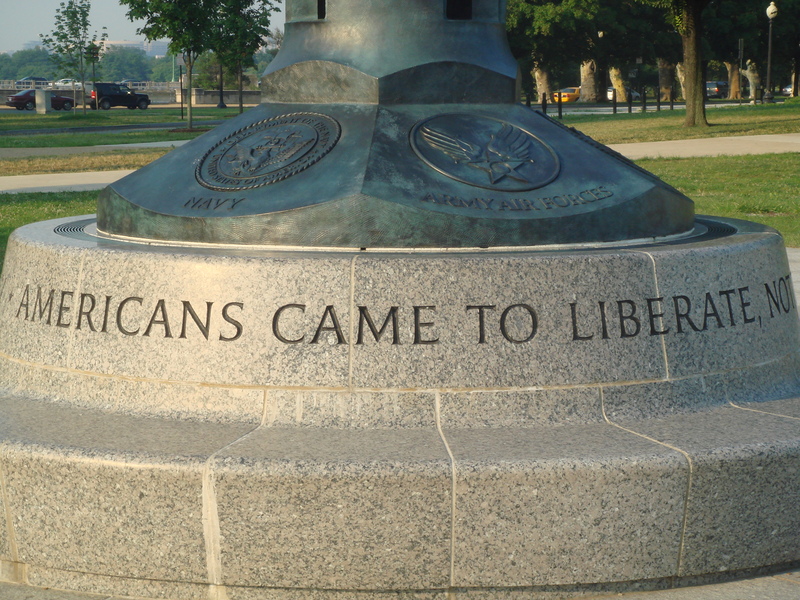 I took this photo at the WW2 Memorial in Washington DC. when I was there for my United States Holocaust Memorial Museum Teacher fellowship. The 30th Infantry Division is meeting again in Charleston, SC at the end of March. It will be good to see these “old soldiers” again. I’m sure many survivors will join us. Contact me for more information. The German people caused these victims to be in the situation in which they were found, so therefore it was felt that it was their responsibility to rectify what they had done to them over the past five years. At first they rebelled at these orders, but upon the threat of execution of the Burgomaster, and with a pistol held to his head, the citizens of Farsleben complied and went about the task which they had been ordered to do. At this time the Burgomaster began to cooperate, and told his citizens to take some of these Jews into their homes and give them some comfort, which they did, very grudgingly. This was the first taste of “Home” for many of them after some months or years of inhuman incarceration. Sincemy duties as a Liaison Officer were at a minimum at this point, I was placed in charge of procuring sufficient vehicles on which these 2,500 Jewish victims could be loaded, and to relocate them to Hillersleben, about 10 km distant. It must be noted here that in most cases, it was not possible to drive directly from “point A to point B” which may in fact be only 5 – 10 km.With bridges on all main roads either bombed or deliberately blown up by the retreating German army, it required navigating over many secondary and unimproved farm roads to find a suitable route to get from “point A to point B”, which in some cases was 25 – 30 km. Having driven over these roads for the previous few days, I was relatively familiar with these deviations, and was thus chosen for this job. After loading up these Jewish victims on our trucks and navigating the convoy over a devious route, we arrived at the designated site in Hillersleben, where their custody was turned over to the American Military Government for further processing. 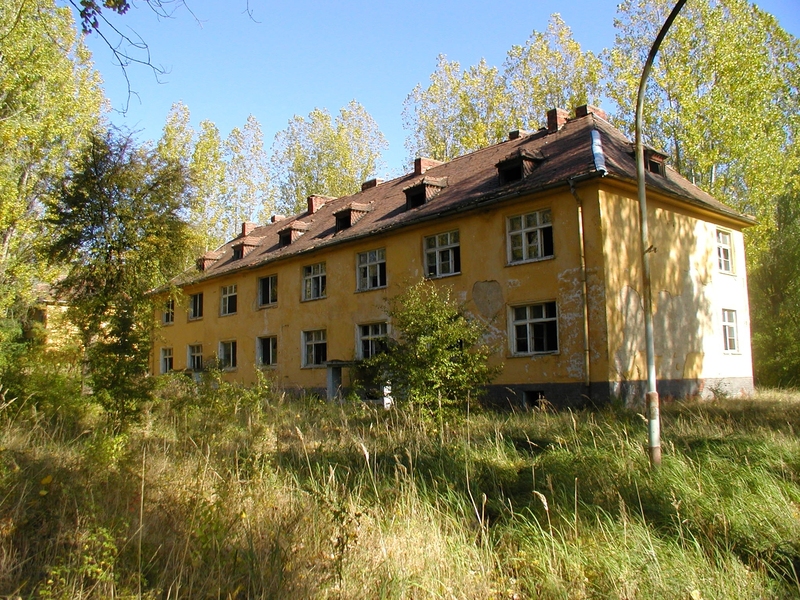 Initially, they were deloused!Their bodies and clothing were totally infested with lice, so they were heavily dusted with DDT, stripped of their clothing, which was burned, given a shower, then re-supplied with adequate clothing, which had been furnished by the people of Farsleben.